If you prefer a flour with the texture and flavor of whole wheat, give this one a try. Breads and cakes made with it have a slightly coarser texture and a more open crumb than those made with the other two blends. We eliminated corn products in this flour, swapping arrowroot for cornstarch to take advantage of its thickening power, added some sorghum flour for its sweet nutty flavor, and used guar gum instead of xanthan gum to add viscosity and elasticity. 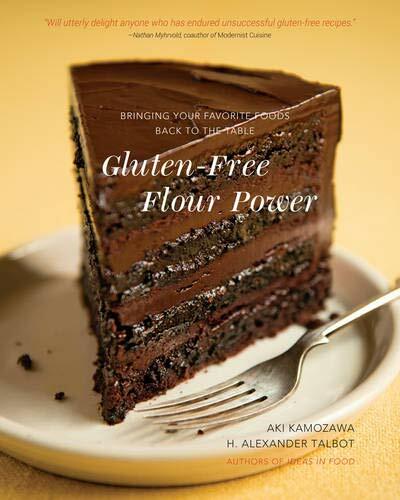 This flour has a slightly richer flavor than the What IiF flour, and results in a lighter texture than Aki's Blend. Whisk together all the ingredients in a bowl. Store in airtight container at room temperature for up to 6 months. A good quality digital gram scale is recommended for this recipe.